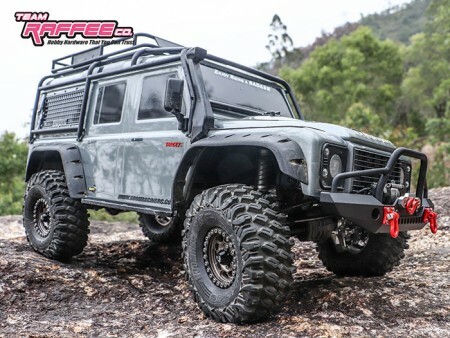 This is a Tough Steel Rear Bumper for the TRX-4 with spare wheel mount. 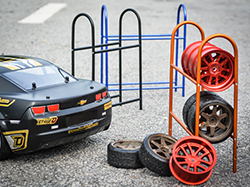 This rear bumper comes with all the hardware needed to mount it onto the chassis also has two shackles to attach tow straps and LED lights. 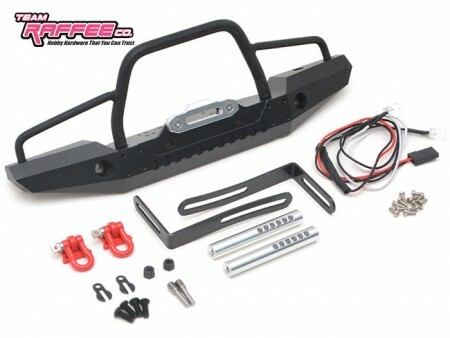 Steel Tough Rear Bumper W/ Hooks & LED Light 1 Set by Team Raffee Co. 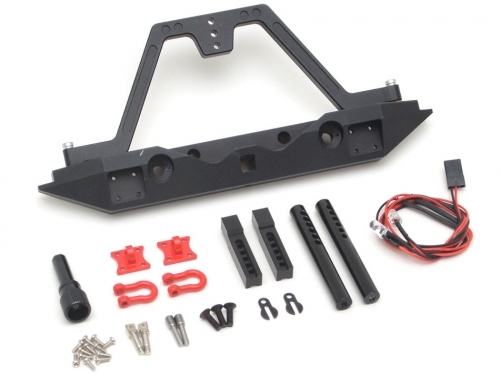 The Traxxas TRX-4 Steel Tough Rear Bumper W/ Hooks & LED Light 1 Set has an average rating of stars based on 6 customer reviews.